Kevin Bridges comes to Cardiff & adds an extra date! Extra date on 8 September Now on Sale to Due to Overwhelming Demand! ONE of Britain’s best loved comedians is returning to St David’s Hall with A Whole Different Story. Scottish comic Kevin Bridges already had a pair of Cardiff dates booked in, but has now put an extra night on sale on Tuesday 8 September due to overwhelming public demand! At the age of only 22, Bridges meteorically shot to fame and is already a very well-known face on the circuit throughout the UK. His uncanny observational wit has also had audiences rolling in the aisles across Europe and as far afield as Canada and the Middle East. Bridges was first inspired to become a comedian after reading Frank Skinner’s autobiography and performed his first gigs at The Stand comedy club in Glasgow aged just 17. A year later he reached the Final of Channel 5’s So You Think You’re Funny competition at the Edinburgh’s Fringe Festival. TV appearances on Michael McIntyre’s Comedy Roadshow and Live at the Apollo soon followed, and he released his first bestselling DVD Kevin Bridges: The Story So Far in 2010. His 2012 tour, Kevin Bridges – The Story Continues… smashed Box Office records selling a staggering 45,000 tickets on the first day of sale. He then embarked on a huge 136-date world tour including nine nights at Glasgow’s SECC Arena before an incredible finale in Australia. 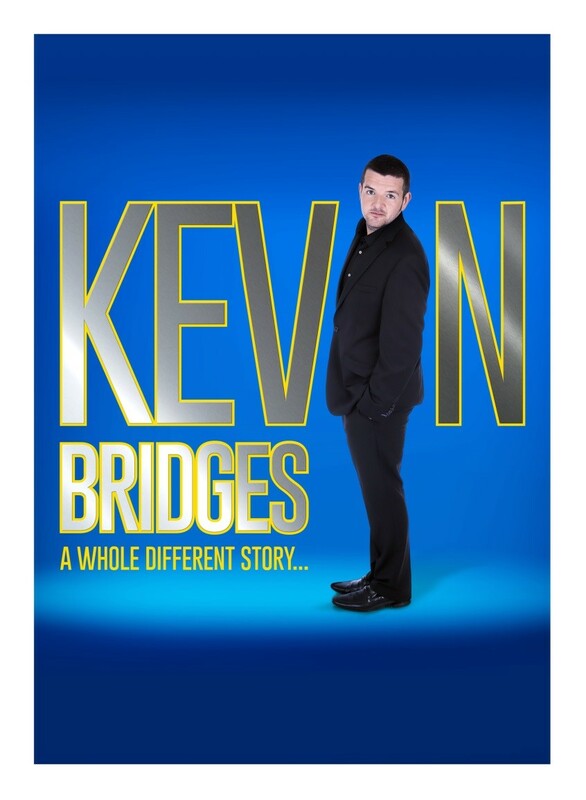 Over the last 12 months Bridges has held stand-up shows at the Commonwealth Games and the Scottish Referendum, and hosted a three-part documentary on BBC1 entitled Kevin Bridges – What’s the Story? This year promises to be equally as busy as he hits the road again, and is set to release his much-anticipated autobiography We Need to Talk About… accompanied by many book signings and his first show in Dubai. Experience for yourself Scotland’s finest comedy export since Billy Connolly live at St David’s Hall! Tickets are now on sale for the extra tour date on Tuesday 8 September priced £25 (plus a £2.95 ticket service charge per transaction). Limited seats are also available for 9-10 September.